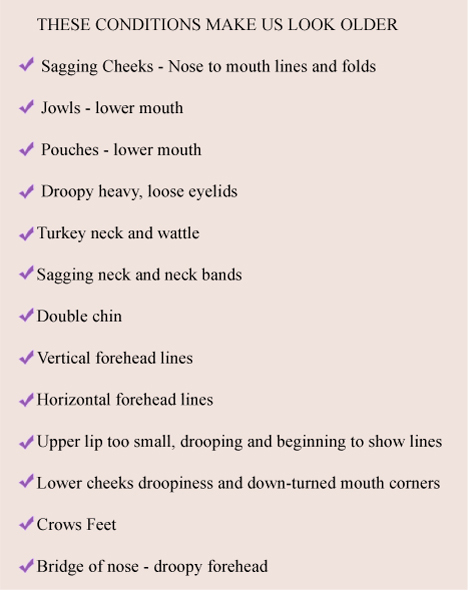 techniques to STOP sagging facial features and tighten your face. FACIAL MAGIC® is the natural way to an ageless face. You CAN look better than you have in YEARS! due to gravity and muscle atrophy. What will reverse this type of aging? the sagging chin and cheeks? 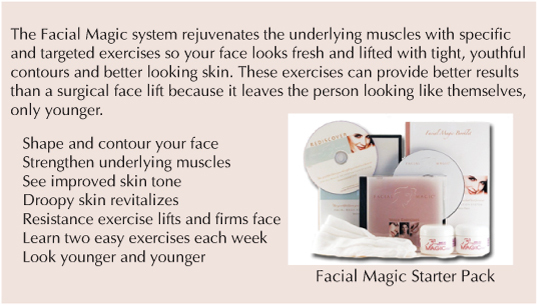 "Facial Magic does what it says it will do"
Facial exercise is the most amazing thing you can do for your face. lasting results are possible when you exercise just a few minutes a day. easy to learn, facial exercise. LIFT YOUR EYEBROWS WITHOUT SURGERY! You CAN LIFT Saggy Necks, Sagging Cheeks, Jowls and Pouches! "I am a natural type of gal who would not consider plastic surgery or injections – it's just not an option. I am amazed at the difference I see in my photos and in the mirror! 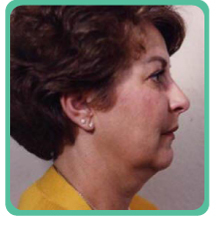 When you look at your face every day, you may not see the changes but when I laid the photos side by side, they showed how my neck tightened, my lower mouth area looked younger and my skin became thicker, and more youthful looking." 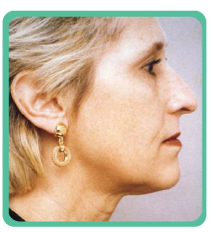 Remember this 48 year old woman whose jaw line had disappeared? See her results in only eight weeks! How did these aging faces change? 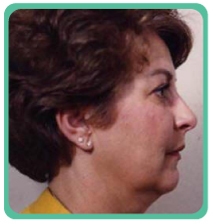 Just as exercise will tighten the muscles in your torso, arms, buttocks and thighs, facial muscles are no different. The muscles lift and firm. Facial Magic is Nature's facelift. 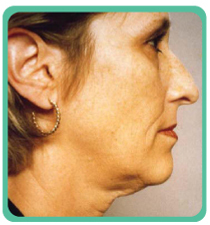 It is non-surgical and non-invasive. It Is the SMARTEST Solution To Look Prettier and Younger. 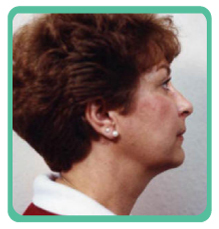 Every Aging Face Can See Positive Changes! "Years ago I made a discovery that changed my life forever!" "When I was about 40 years old my left eyelid began sagging downward toward my eyelash and it made my entire face look tired, lopsided and not very vibrant. A friend introduced me to a unique yet simple exercise technique taught by a woman from France that lifted and tightened my face. JOIN US! Get started today! DON'T WAIT ANY LONGER - YOU CAN TRY THIS NOW! 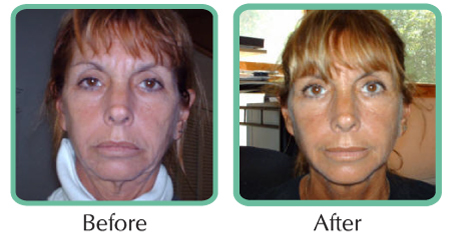 The Facial Magic Exercise System will tighten and lift your face with astonishing results! 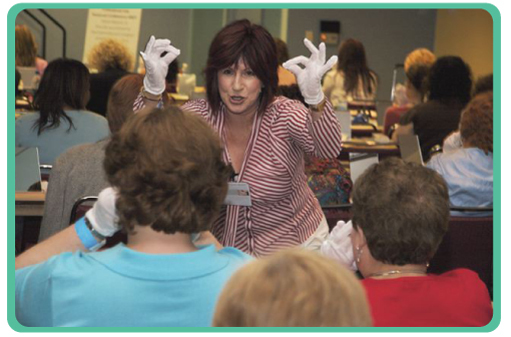 Yes, skin care is important but from the inside out resistance exercise rejuvenates the face. You will love your results! TRY THIS! Tighten Your Forehead and Lift Your Brows! You Don't Need Injections, Surgery and Lasers to Look Younger! All Products Made in the U.S.A.